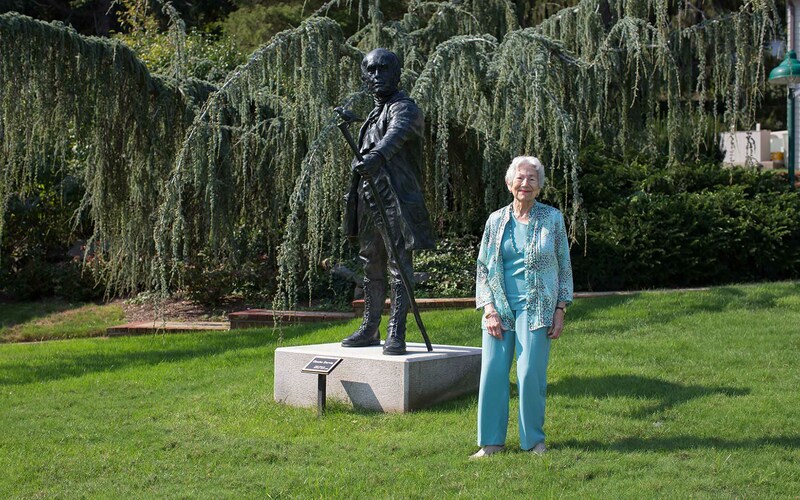 Evelyn Witkin, Ph.D., stops for a photo-op with Charles Darwin while touring the CSHL campus ahead of the Women’s Partnership for Science lecture and luncheon on Sunday, September 11, 2016. 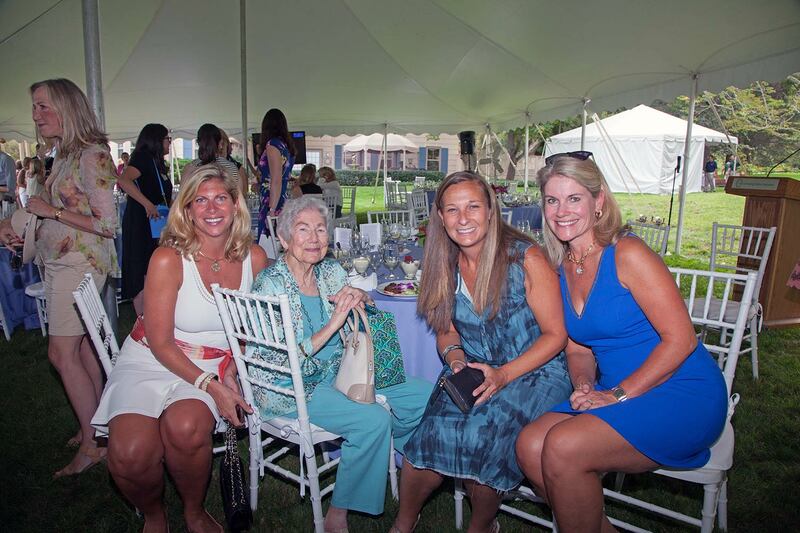 Cold Spring Harbor, NY – On September 11, Cold Spring Harbor Laboratory (CSHL) held the 15th annual Women’s Partnership for Science luncheon, a summer staple among New York’s female philanthropists who support biomedical research. 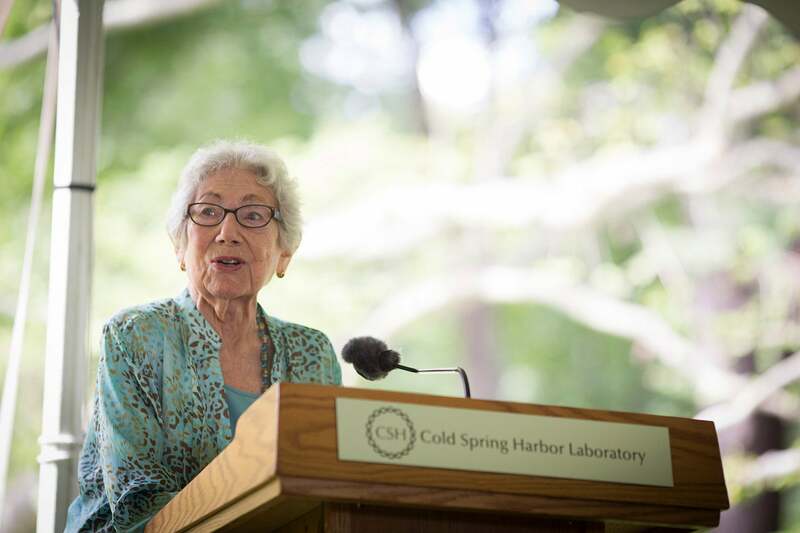 This year’s guest speaker was American geneticist and 2015 Lasker Prize winner, Evelyn Witkin, Ph.D.
Dr. Witkin’s presentation was titled “Serendipity in Spades: My Crooked Path to Cold Spring Harbor.” She reminisced about the twists and turns in a research career that took her from New York University as an undergraduate student, to graduate studies at Columbia University and then to CSHL to do her thesis research centering on a radiation-resistant mutant of E. coli, which launched her life’s work on DNA mutagenesis and DNA repair. 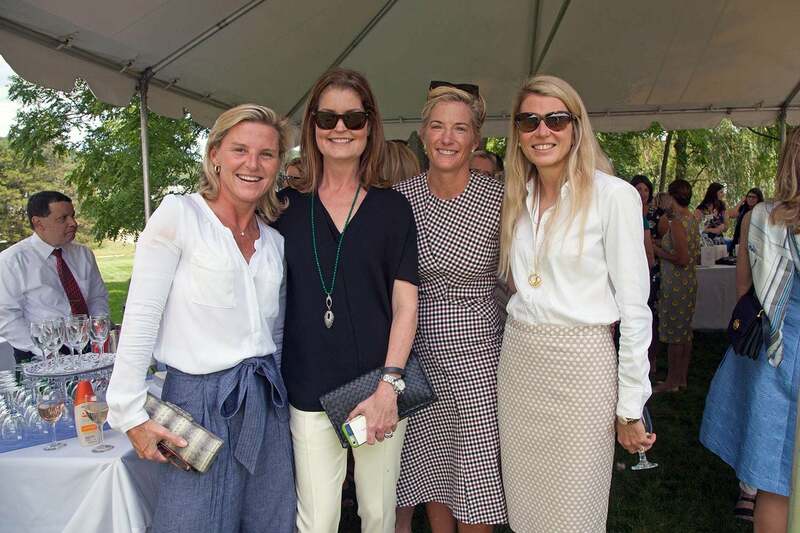 The event drew attendees from across the New York metropolitan area. 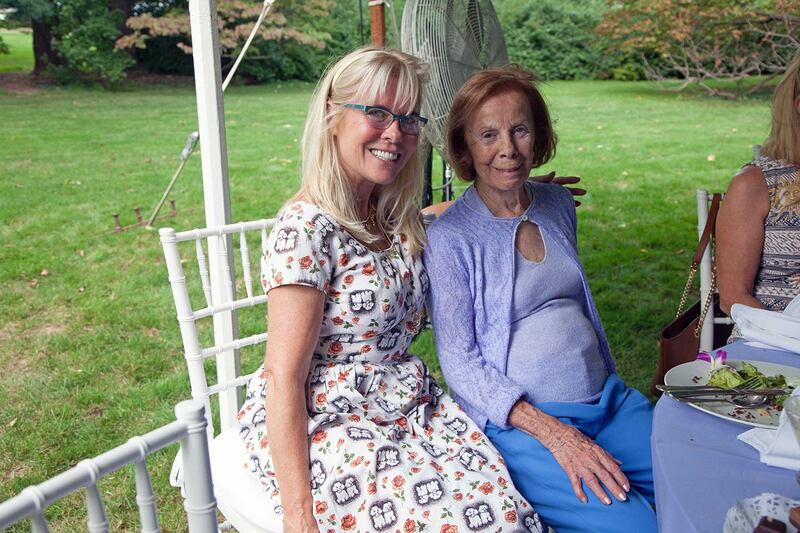 It was co-chaired by: Elizabeth Ainslie, Lori Bahnik, Michele Celestino, Susan Cohen, Kristina Perkin Davison, Tracy A. Dellomo (UBS Financial Services, Inc., Jericho), Carolyn Gero, Anita Lamb (The Jefferson Family Charitable Foundation), Amanda Lister, Jennifer Mercer, Mickie Nagel, Jamie C. Nicholls, Louise Parent, Pat Petersen (Daniel Gale Sotheby’s International Realty, Inc.) Liz Piazza, Whitney Posillico, Dr. Marilyn Simons, Hope Geier Smith, Cynthia Stebbins, Sandy Tytel, and Marjorie van de Stouwe, M.D. 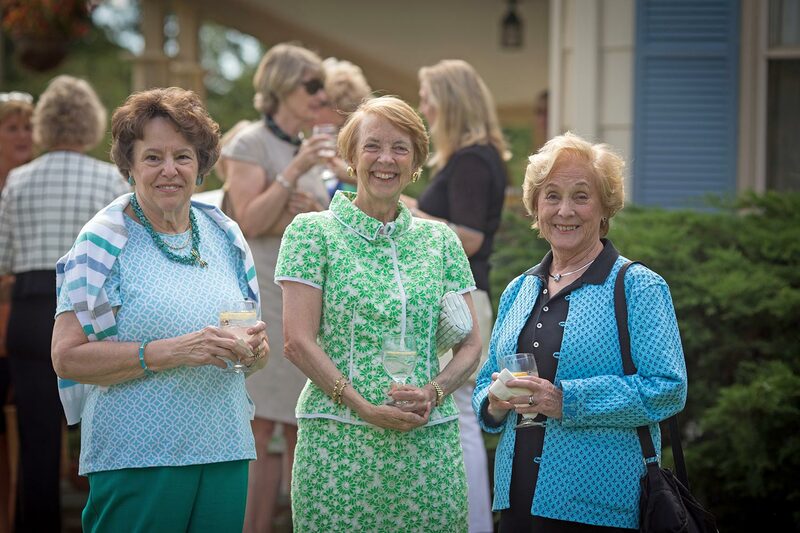 Banfi Vintners, longstanding supporters of the Women’s Partnership for Science, generously donated the wines for the luncheon. 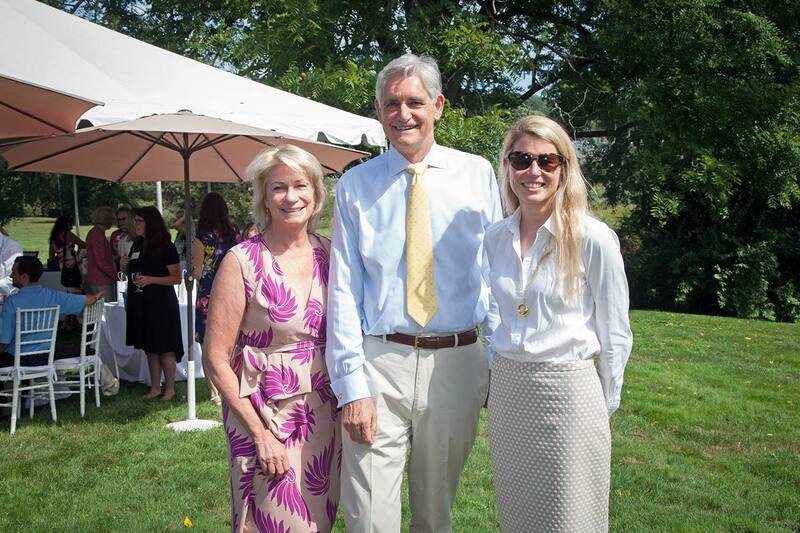 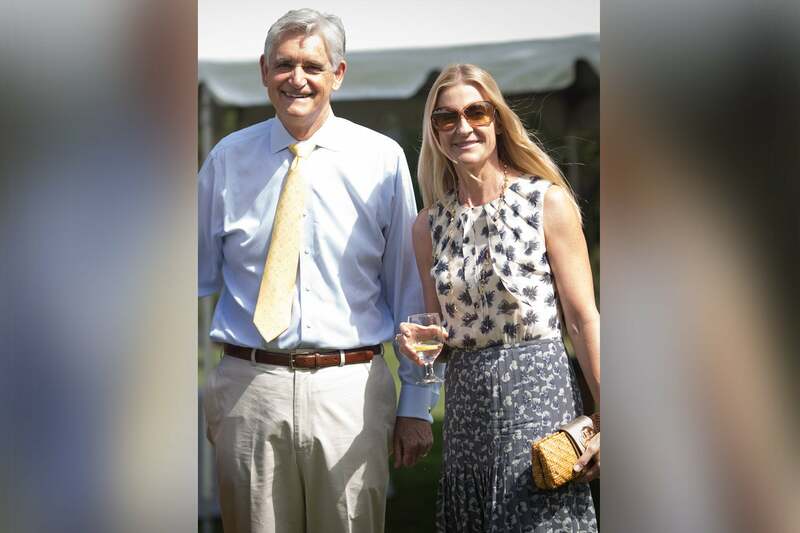 Since 2002, the event has raised $1.7 million for pioneering research on the genetic causes of cancer and neuropsychiatric disorders as well as innovative molecular biology education programs.